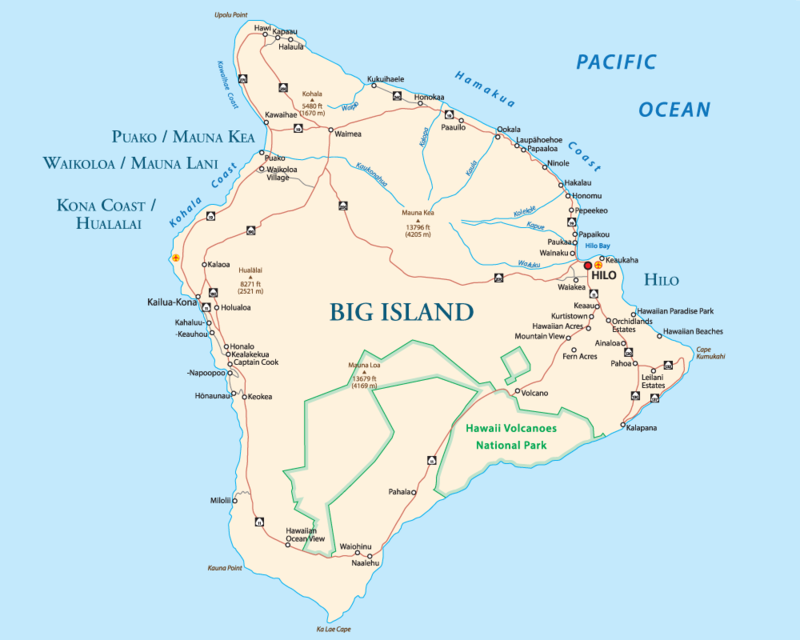 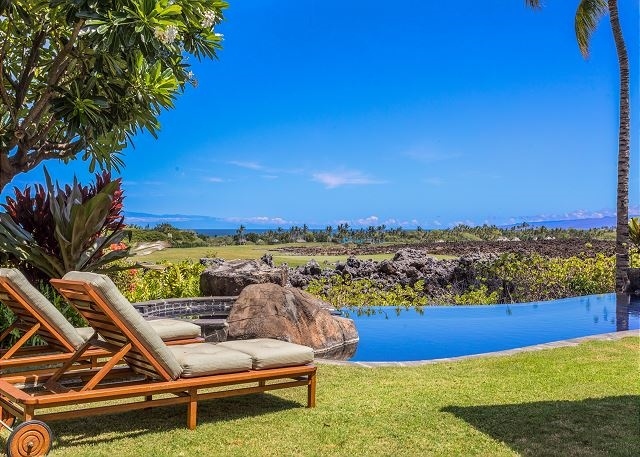 Hualalai Vista Estate – Luxury Vacation Homes, Inc. 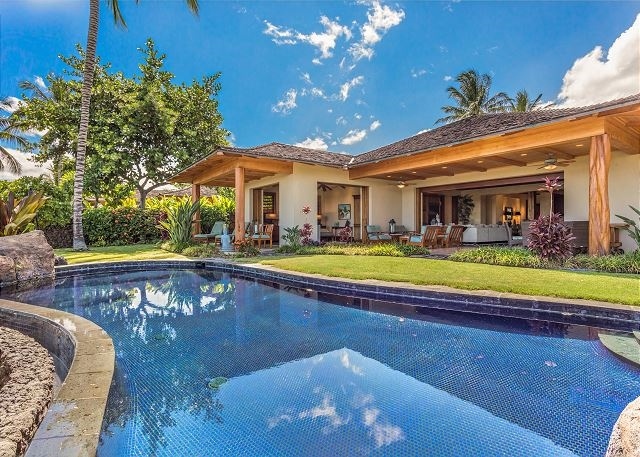 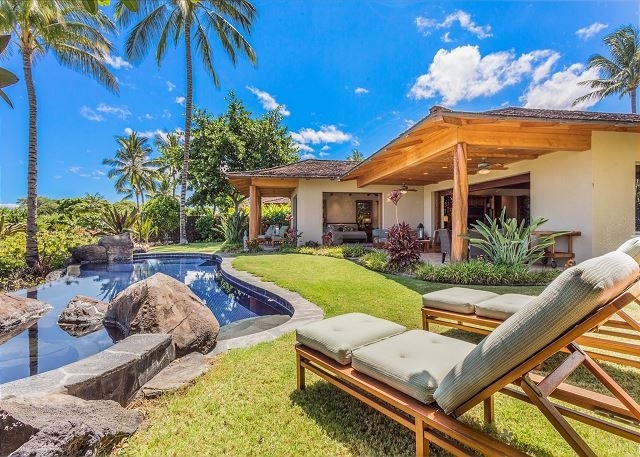 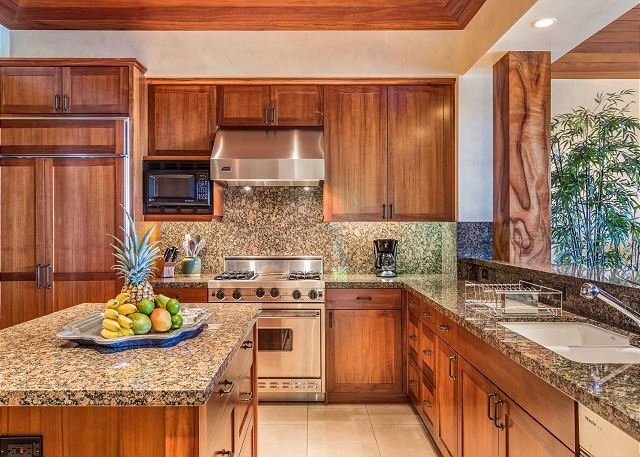 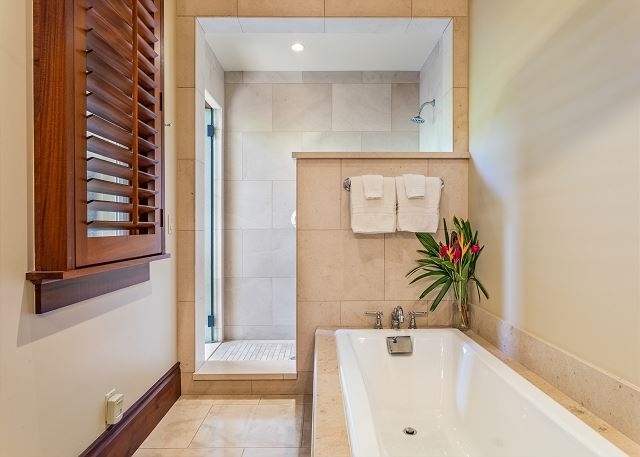 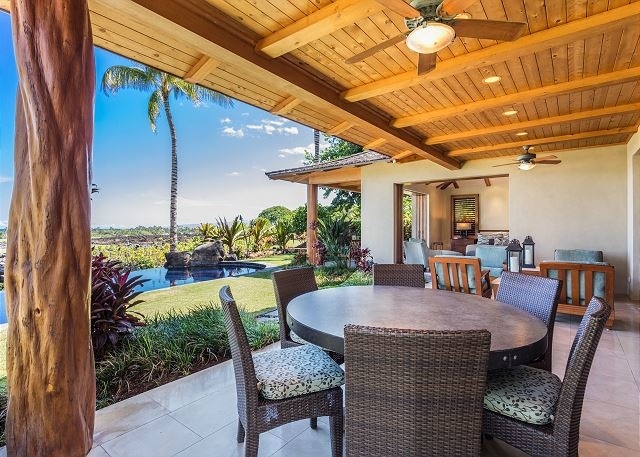 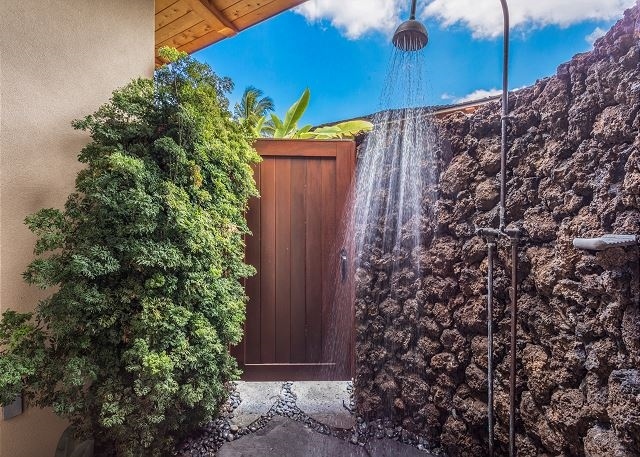 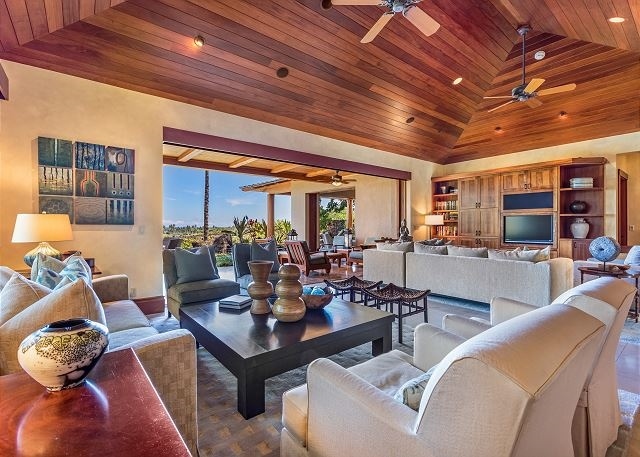 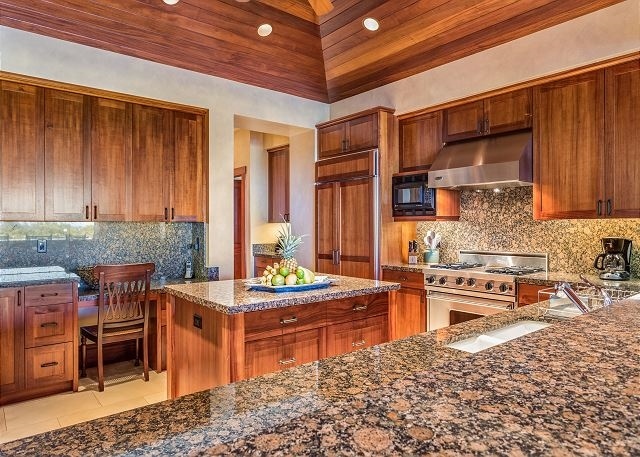 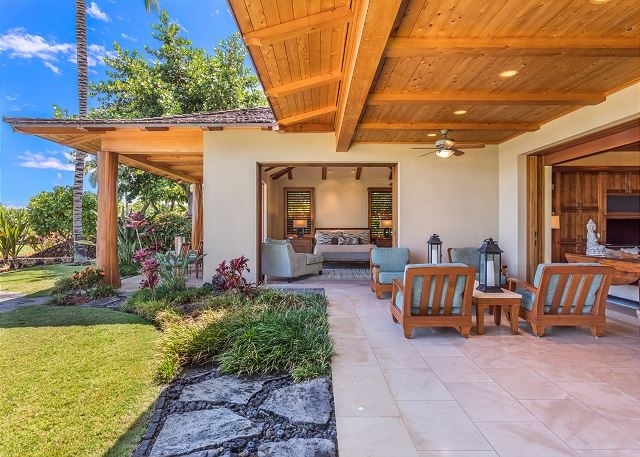 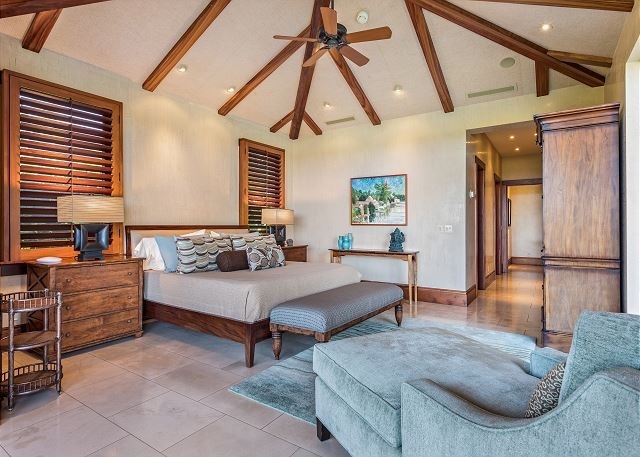 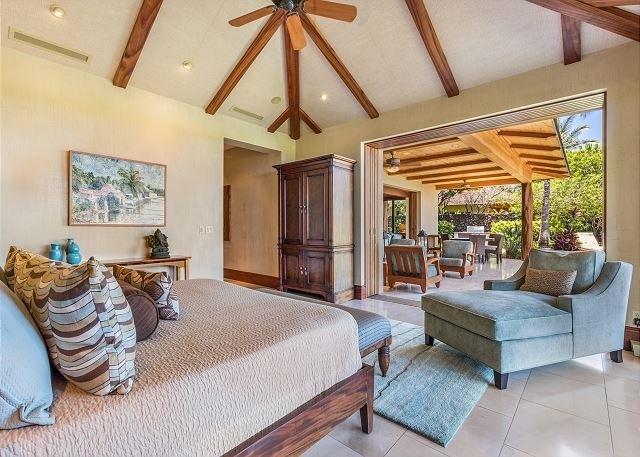 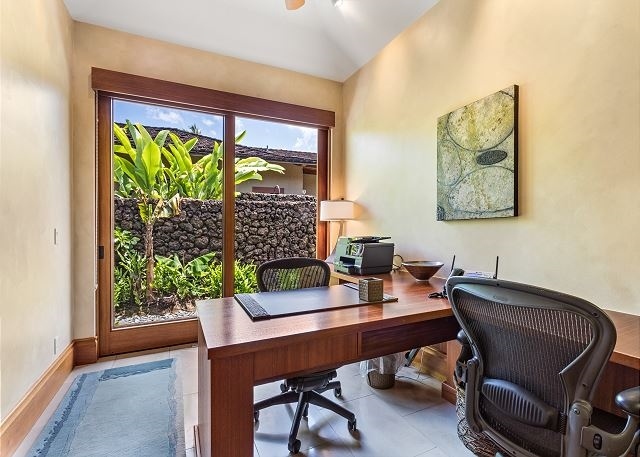 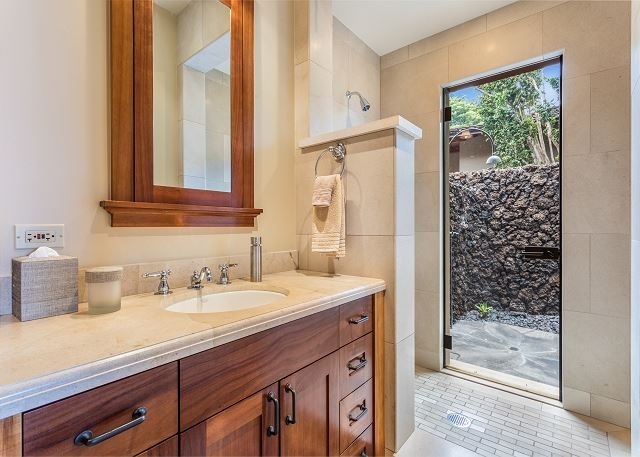 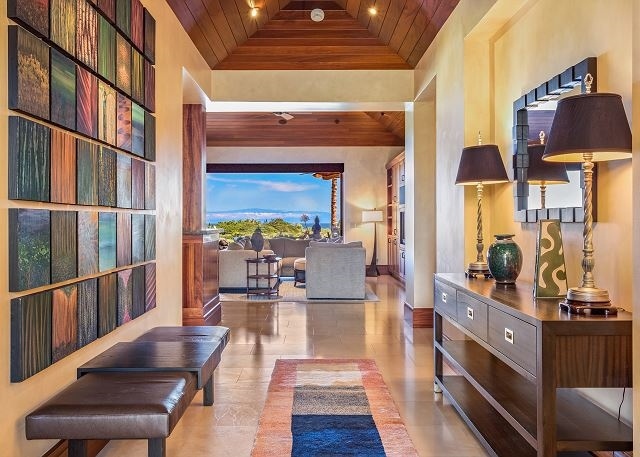 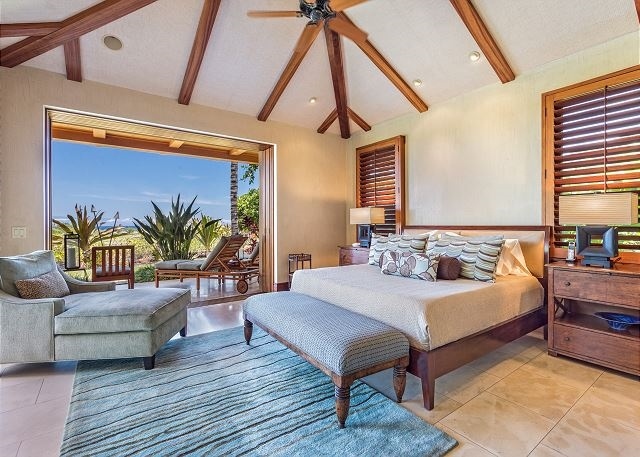 Located at the entrance to Pakui Street – a popular area for exclusive vacation rentals, this 3 bedroom, 3.5 bath home is part of the world renown Hualalai Resort that features the Four Seasons Hotel, Sports Club & Spa, championship golf, tennis and a wide range of ocean sports activities. 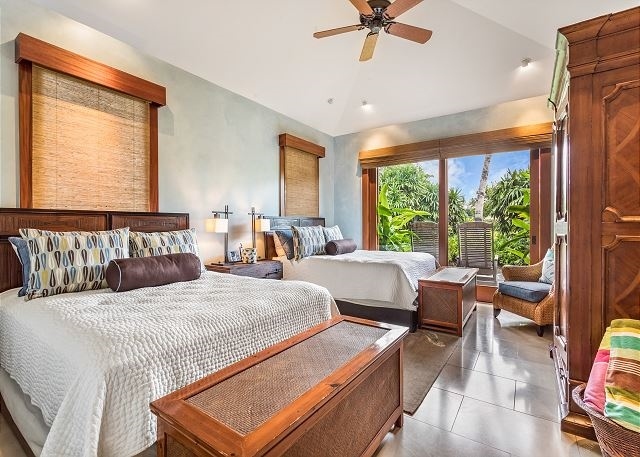 Guests of this home have the option to purchase passes for daily use of the Resort amenities, located within walking distance. 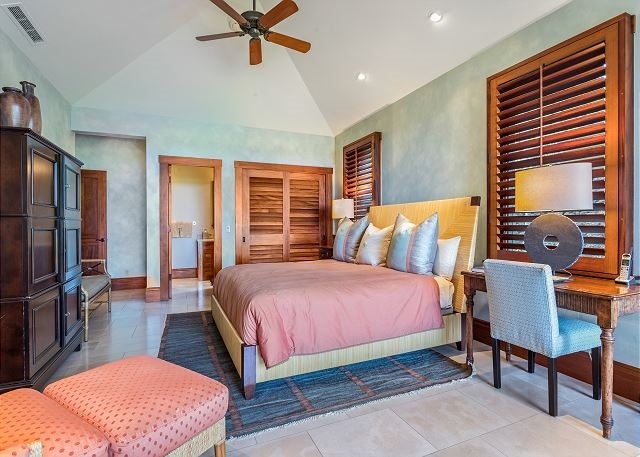 Open-air in design and comfortably decorated, the home has been recently updated and includes King, King, 2 Queen bedding configuration – ideal for up to 6 guests. 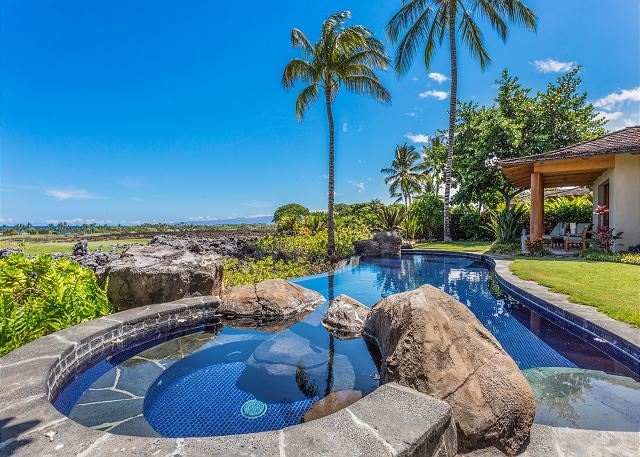 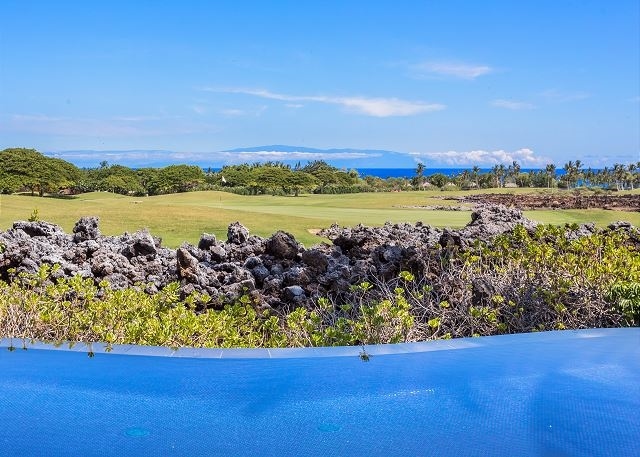 A private swimming pool and spa sits just off the spacious lanai and is complete with golf and ocean views yet, private – with jet-black lava and luscious green vegetation providing ample separation with the golf course.